We can’t stop here, this is trapper country! 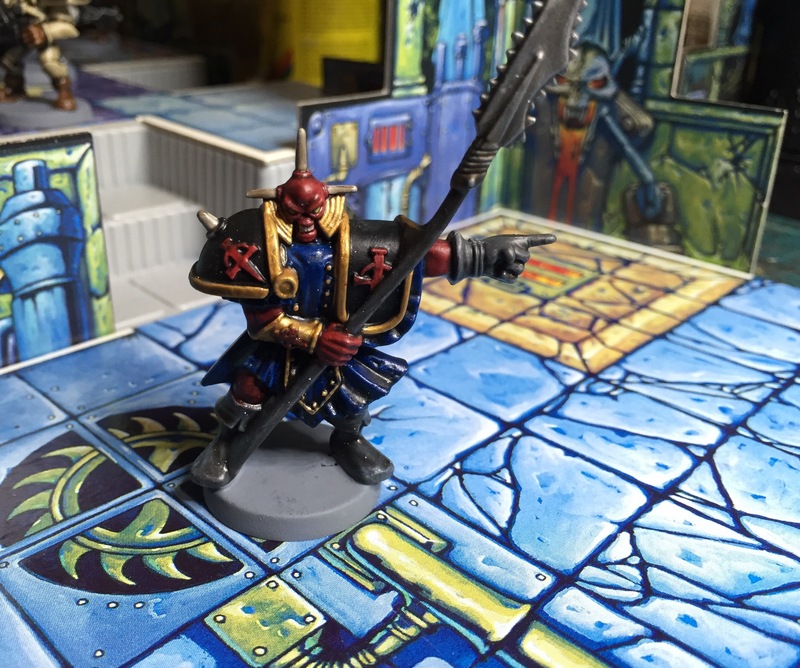 Instead of having terrible angst over not publishing my articles, I shall instead just post the pictures of my finished models and not care too much about the words. Who’s reading anyways, when there’s pictures to look at. 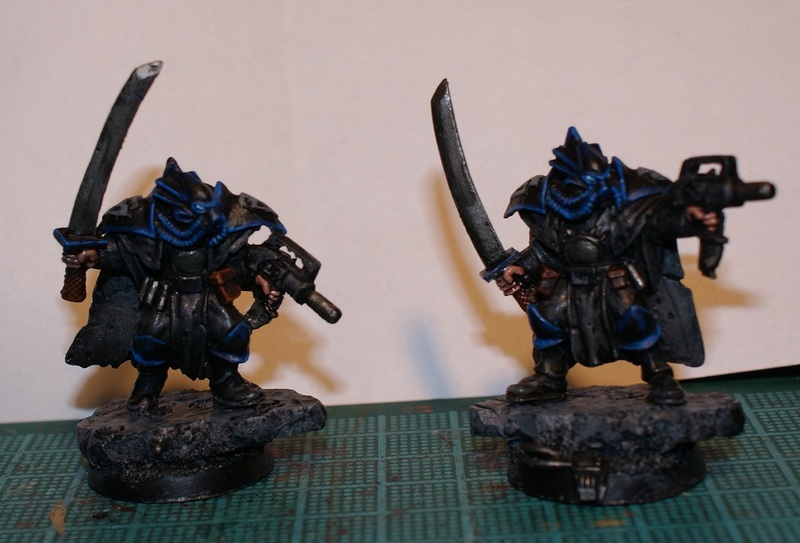 Below are my 2 proxies for Freikorp Trappers, Malifaux game. 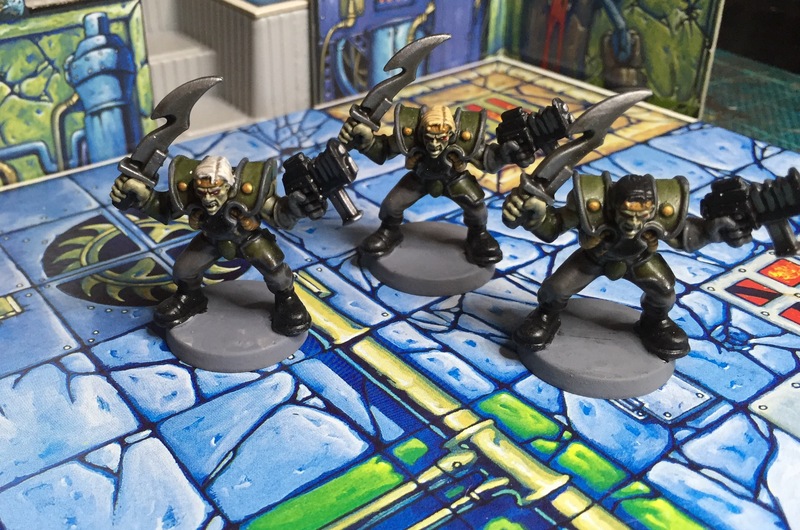 They’re based off old Warzone models from the 90’s or early 2000. Love the looks of those old Bauhaus troopers so I did a gunswap and called it a day. And now for something completly different! Okay, not that different; it’s still tiny models with paint on them. But this time it’s for an old board game, so not a true miniature game. The game in question is Mutant Chronicles – Siege of the citadel. Siege of the citadel is a board game released in 1993 based on the Mutant Chronicles (no, not the awful movie!) universe. Anyone that knows my darker sides knows that I have an unhealthy relationship with Mutant chronicles. It probably ties in with my roleplaying youth and how we spent entire weekends creating characters and mostly dying horrible with them afterwards. The Mutant chronicles franchise spawned a bunch of different games (Card games, miniature games, RPG, a SNES game(!) etc) , and given that Target Games (the publishers) were Swedish, it was very accessible to my Swedish young self to get into. 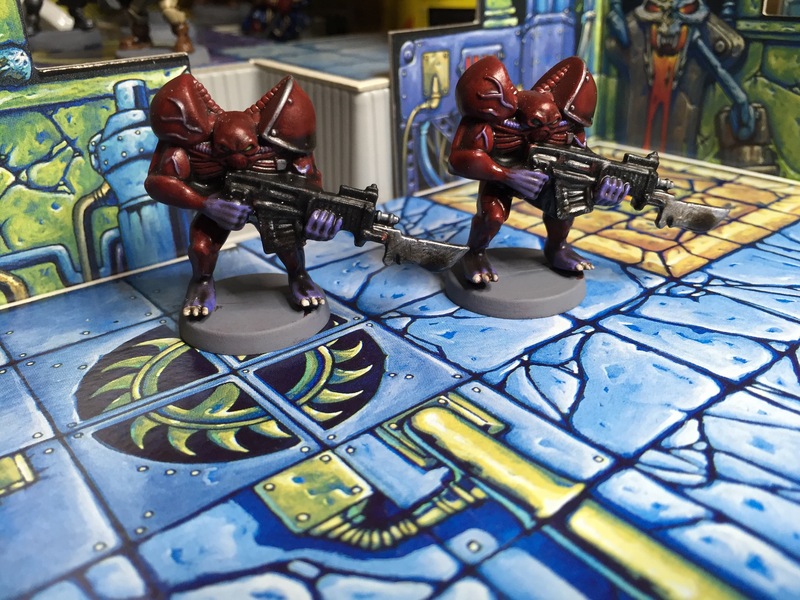 Siege of the Citadel is a 2-5 player semi-cooperative game where each player plays as a pair of “Doom troopers” – elite warriors of the solar systems finest warriors originating from different Mega corporations. 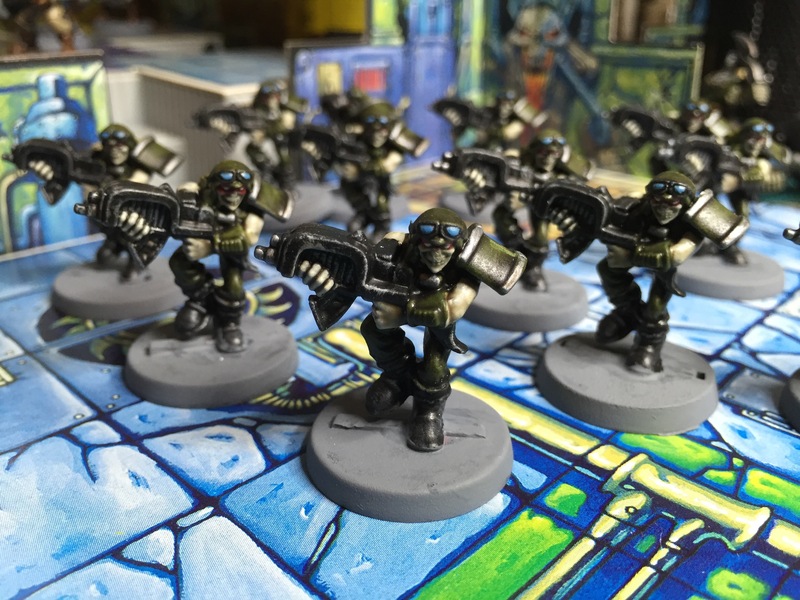 The doom troopers are tasked with the seemingly impossible task to enter a Dark Legion citadel and perform various shared missions and some personal, hidden missions. The players take turns to play as the Dark Legion, so the scapegoat varies throughout a playthrough, which is always nice. 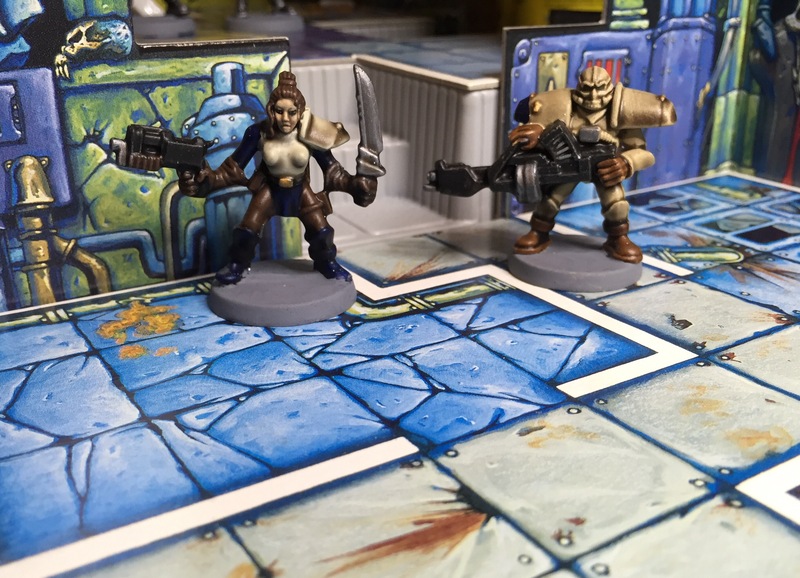 Between missions each player gears up their team with weapons and as they rack up experience they become more skilled at disposing of all the different kinds of nasties the citadel has lurking in store. The player with the most points in the end wins the game, so even if it’s cooperative, you might want to be a bit selective as to who to support between each mission. The game itself is pretty basic, so some might find it too simplistic for their tastes. For me, though, it works just fine without 400 pages compendiums to read through each time it’s played – and given it’s age, sort of narrow audience and my own limited board gaming time, it really doesn’t see that much action. at all. But! 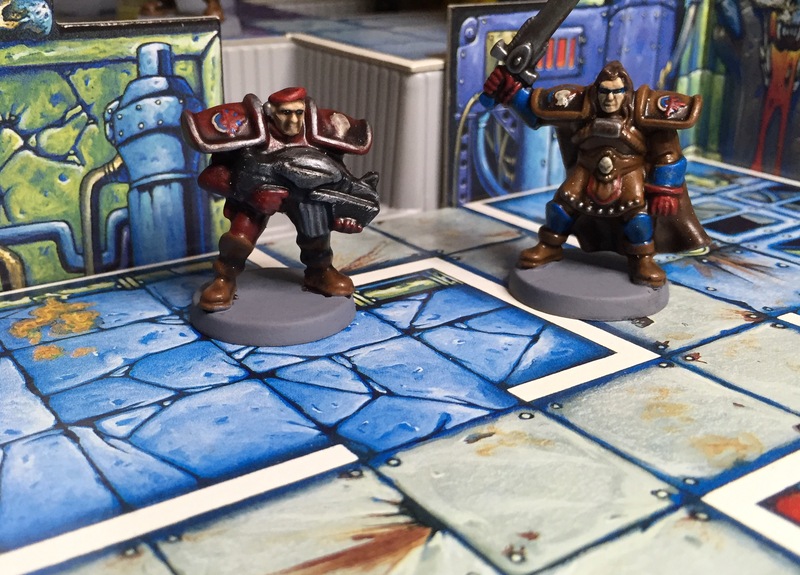 In order to make the game a bit more attractive for both me and any co-players I decided I needed to give them a bit of a paintjob. 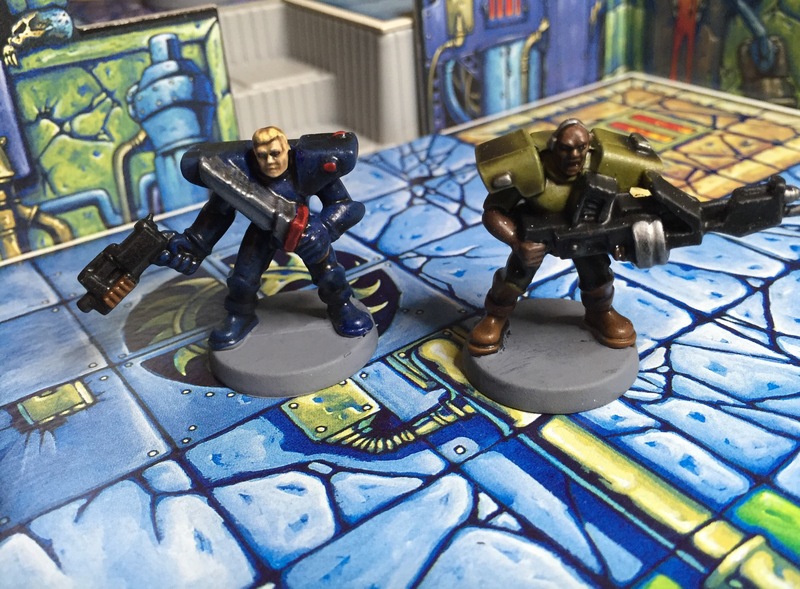 Partly because I really wanted to, and partly because I bought the game second-hand from a mate, and the models were just partly painted, a long time ago, with oil based paint, so they really needed a touch-up. As oil-based paint is a headache to remove without also removing the plastic models underneath it, I decided to just spray them all black and go from there, so some models sadly lost a bit of detail. 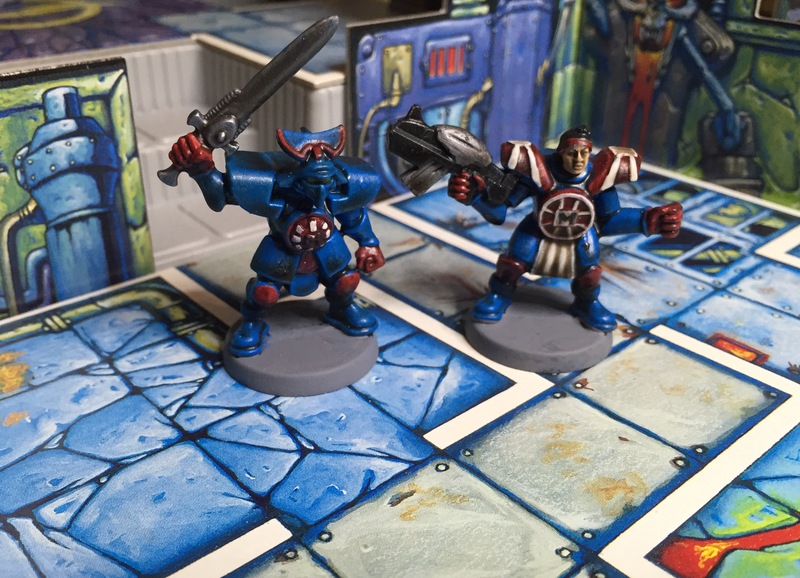 The good news about the smudged details are that the models are so silly and ugly that it really doesn’t matter that much – The models were cast almost over 20 years ago (gah, time flies!) and back them they really did look sort of cool. Now mostly goofy. But who cares! 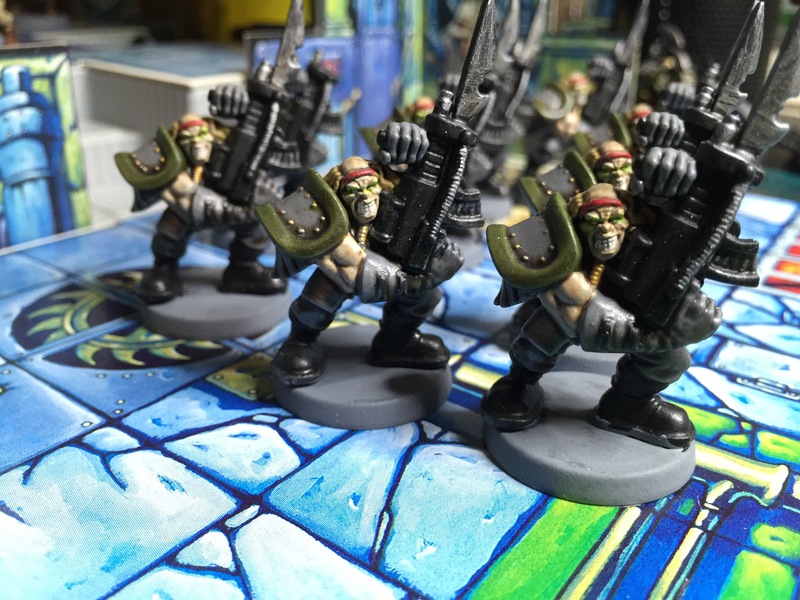 All 38 models were speed painted, and by speed painted I mean as-fast-as-humanly-possible-based-on-my-own-premisses; each model took maybe 15 minutes in total to paint, and I batch painted all of them, one unit at a time. 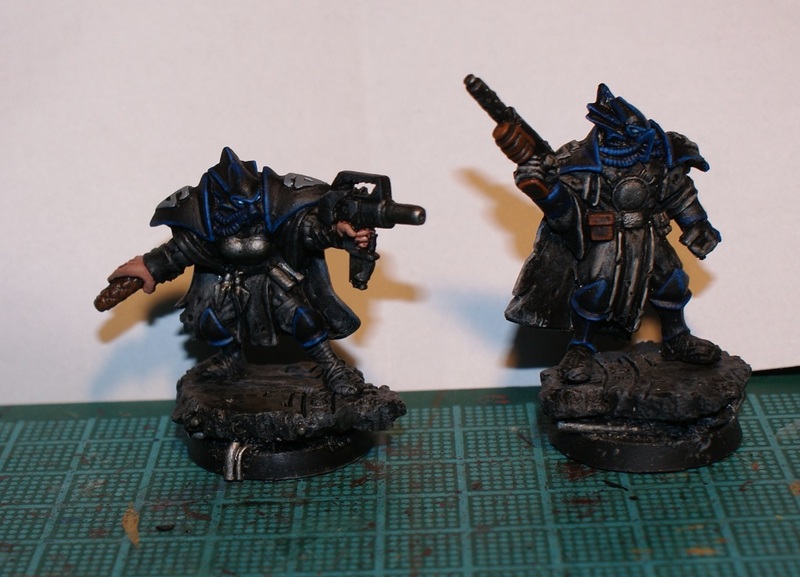 Even the colour schemes of the dark legion troopers I stole from the awesome Sho3box to save some time. Enough talk, on to the models! First up are the Undead legionnaries. These are reanimated corpses from fallen soldiers, raised to freak out and fight the warriors of mankind. 12 of them, all in their jumpy zombie-soldier stance, these are probably my favourite models in the box. The bigger and more dangerous the foe, the uglier model, seems to be this games forte. Next up, 9 Necromutants. These are a bit tougher than Undead Legionnaires, but still pretty much cannon-fodder. Basically they are some kind of souped up warrior made with “Dark technology”. The Ezoghoul, some kind of centaur-cyborg which brings the thougts to the kind of over-the-top sillyness found in the old Doom game (And just like the experts tipped us about the Cyber-demon, the Ezoghoul also dies if you shoot it until it dies). 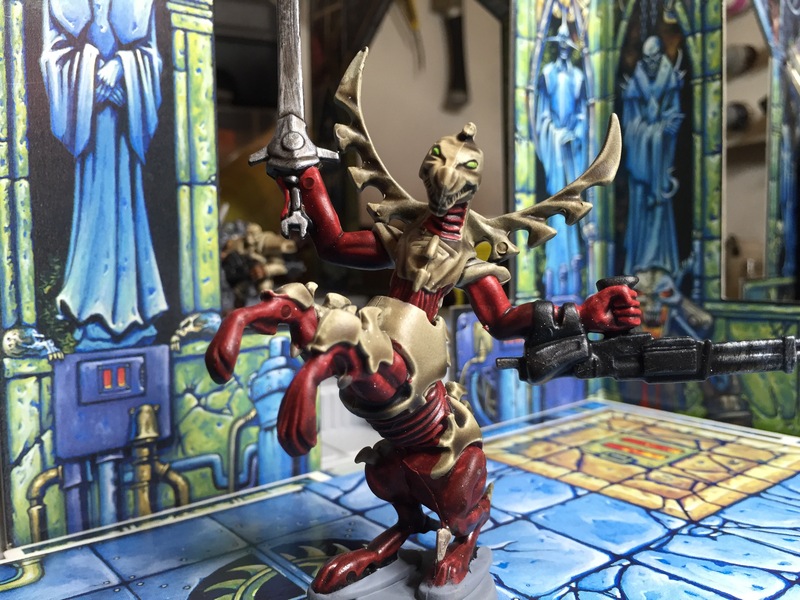 Razides, the bodyguards of high ranking Dark legion officers and true elite warriors, they are sort of the evil golems (“made from flesh and stone”!). I used to love these guys, and I still do. That is, I love the awesome Paul Bonner artwork, not these ridiculous things. Highest ranking officer of the Dark Legion, the Nepharites are both large, horned and wield chainsaw-staffs. The model is, again, super-horrible. That wraps up the evil gribblies, next up are the Doom troopers! The Capitol (Americans – in spaaace!) 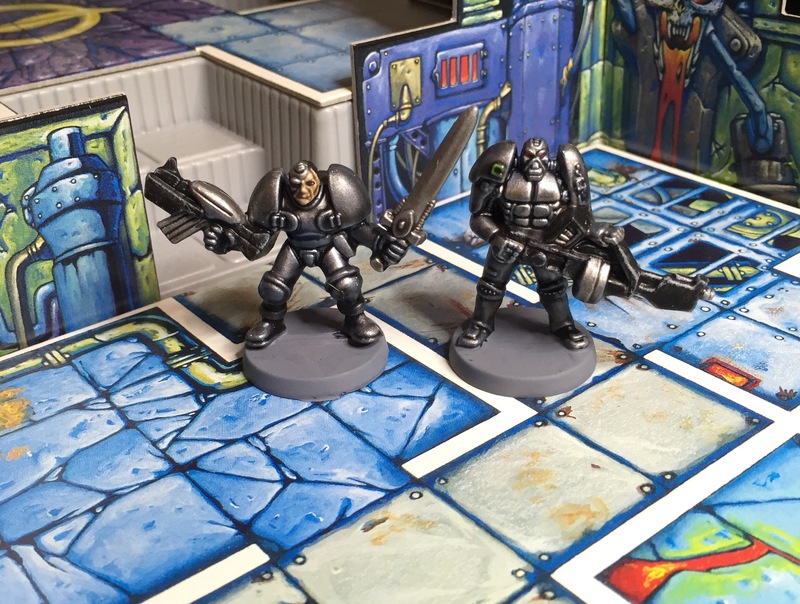 doom troopers – Mitch Hunter and Big Bob Watts. The Imperial (Brits – in spaaace!) doom troopers, Murdoch and Gallagher. Cybertronic is the hi-tech faction, and lore-wise they are the only ones that can use computers – Dark legion corrupted all computers with nasty viruses, which is why the setting is sort of sci-fi/fantasy. or diesel-punk. Anyways, here are Coral Beach (Don’t ask…) and Attila III. Finally, the Mishima (Japanese – In spaaace!) doom troopers, Yojimbo and Tatsu. These are not that bad! Even though the models have clearly aged quited a bit, and doesn’t look all that rad any more, I still find them charming, and it has been a fun project to work on. 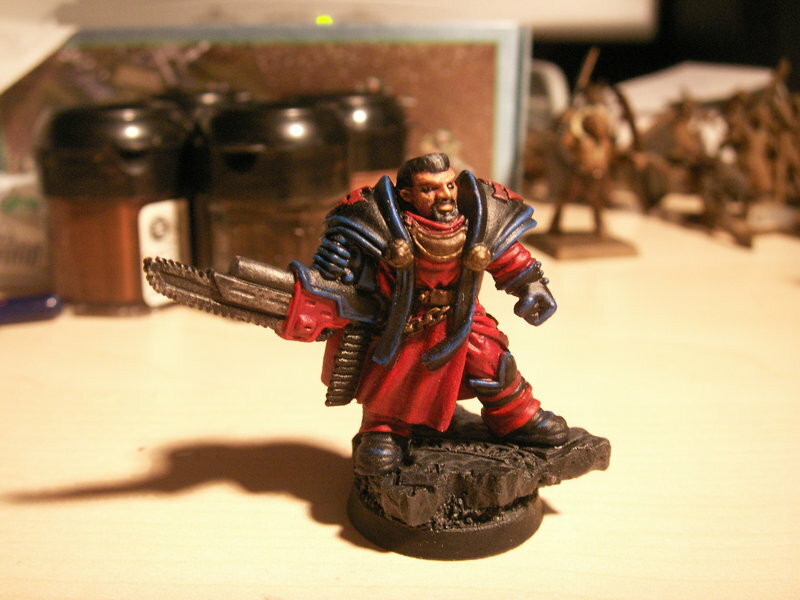 Getting to speed paint all those models reminded me why I stay away from army-scale games though. So, charming models, simple rules, works well with beer – what could possibly be wrong with this game?! Is it nostalgia if it’s a feeling that’s been stuck for 13 years? Techno-fantasy thriller at its best! Most people that know me are probably aware that I’m a huge fan of the Mutant Chronicles universe – A “Tencho-fantasy” setting, including RPG, CCG, Board games, miniature games, a SNES/Sega game, comics and what have you. A wee bit more info here. Anyways, figured I’d post them here. Was way back in 2008 when me and a mate at the local club gave Warzone (the minitaure game set in the MC universe, that is) gave it a whirl, so…yeah. Not anything newly painted. Suffice to say, the rules were pretty broken, but it was still a ton of fun. Plus, I finally got to use all these awesome models I had longed for such a long time. Models were purchased from Prince August.